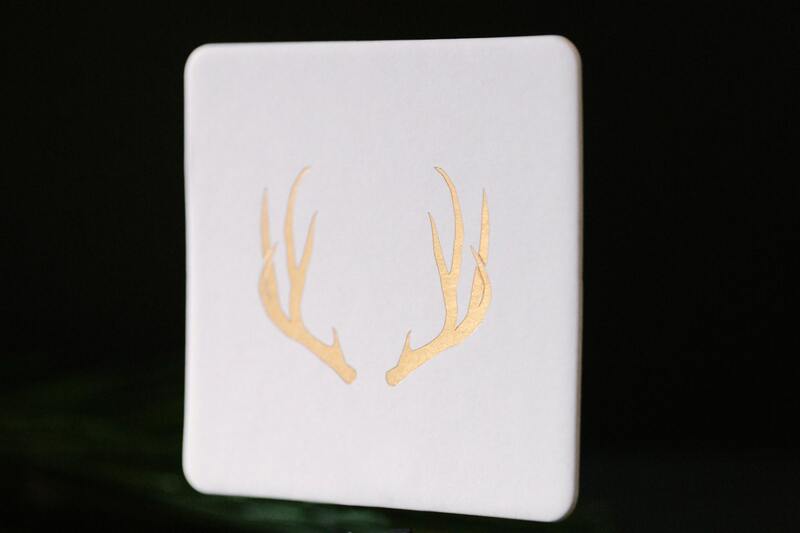 Deer Antler Gold Foil Coasters, 4 Ply Ultra Thick, Cotton Blotting Paper, 4 inch, 10 CT. 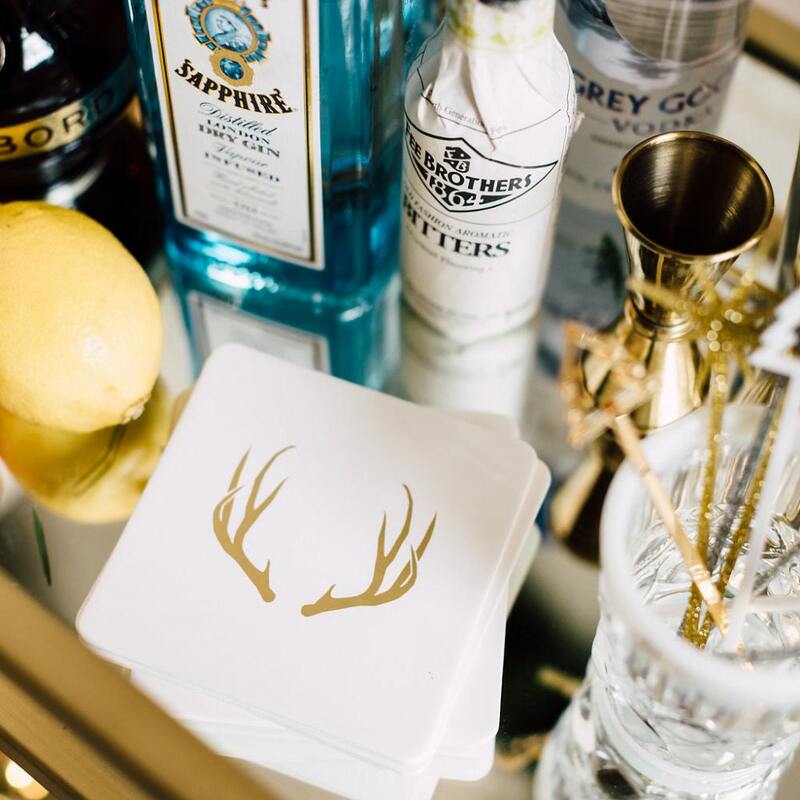 These coasters would be a great addition to your bar cart, coffee table, office, and more!! 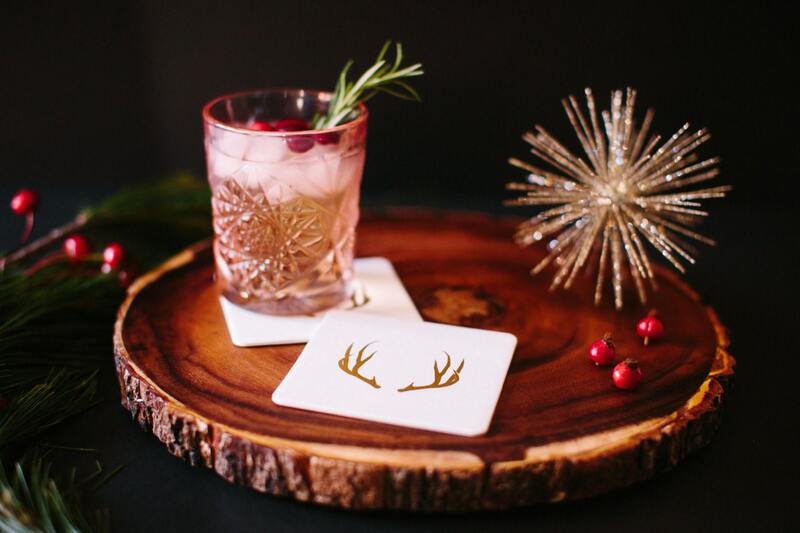 Perfect for everyday or the Holiday parties you'll be hosting. 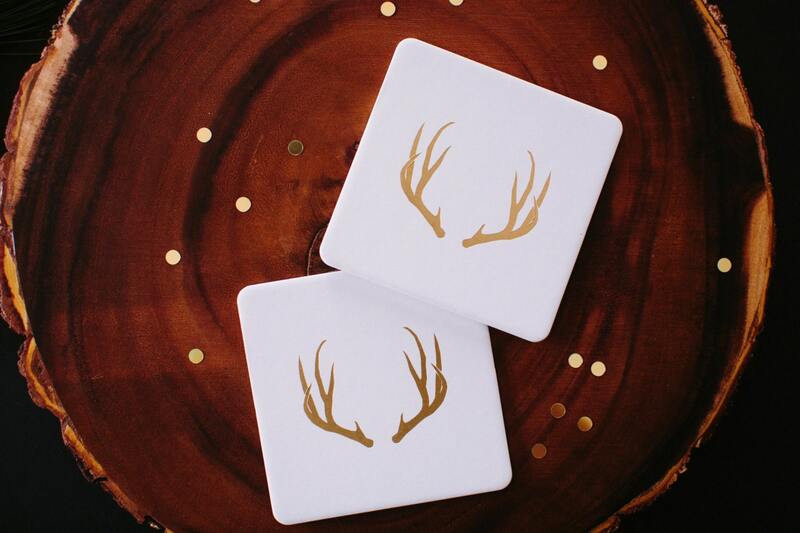 This 10 pack of Coasters are 4" x 4" with rounded corners, foil stamped in gold on ultra thick 4 Ply blotting card stock. 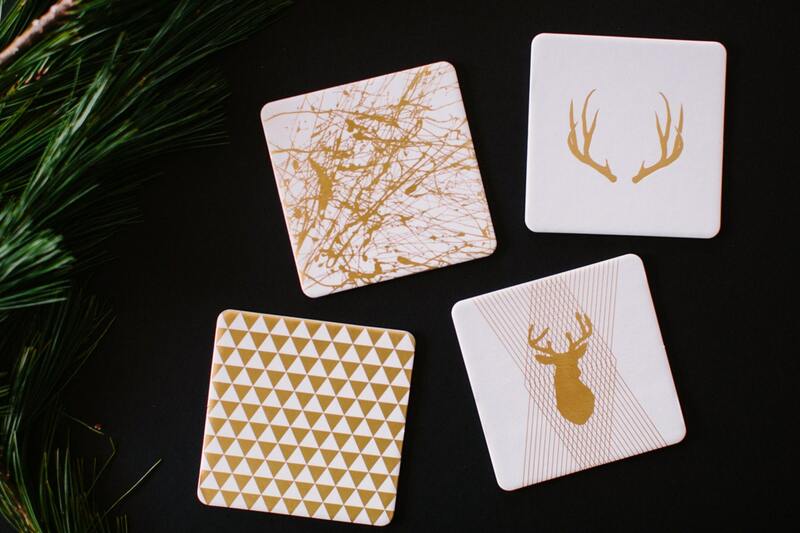 These coasters are super durable. All orders will be shipped via USPS. In order to ensure delivery by December 24th, orders must be placed at least 5 days before desired shipping dates to allow time for production and packaging. Cut off dates below. Priority and Priority Express within the U.S. Includes $50 insurance and tracking. Unfortunately, USPS does not offer international tracking. Nic.Roc. Designs is not responsible for any packages that are lost or arrive damaged. Orders will be shipped out to customers within 1-3 days post purchase.